So you thought the GHW was just for fit cyclists and walkers? A group of people interested in disability awareness are planning a circuit of the Great Harbour Way/ Te Aranui o Pōneke – by kayak! 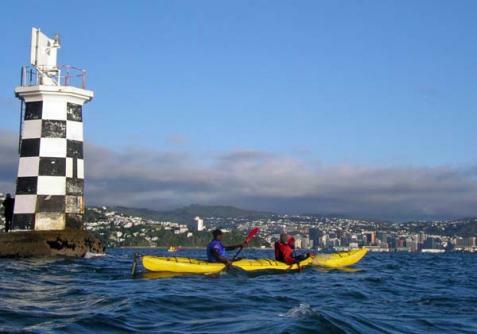 The plan is to circumnavigate the harbour from Scorching Bay to Days Bay, starting with a leg from Scorching Bay to Freyberg Beach on Monday 27 June 2011, starting from Scorching Bay at 8am. 1. To increase and maintain the positives of emergency management/Civil Defence, especially for the elderly and disabled. 4. To promote recreation for everyone. The idea is to spread the journey over June, July and August (perhaps September), and repeat in September, October and November this year and during most months of every future year.